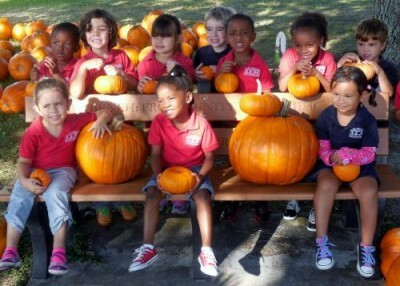 Our Daycare Center: Things to Do in the Fall! Things to Do in the Fall! With Halloween right around the corner, you can get started early! Talk ideas for costumes with your kids – you can design and create your own costumes together! And take time to start thinking about the candy you’d like to have around the house (especially when the big night comes!). There are plenty of great treats to cook and bake. Bake up a batch of cinnamon apple chips with your kids. Or go for pumpkin and chocolate chip cookies. Cinnamon rolls make a great morning treat too! With fall comes a lot of autumnal chores. Take your children with you as you plant bulbs for next spring. Or get the kids outside to rake leaves – and let them jump in the pile! Kids love to play in fall’s leaves! Fall is full of great natural textures. Use all the leaves you can find to make cool crayon rubbings. Just grab a piece of paper, a hard surface, and some crayons. Then place your paper on top of your leaves, and rub the side of your crayon over the surface. Voila! Fall means rain here in Florida, so get out there and play in the puddles. Strap some rainboots on your kiddoes and let them go to town. Also, build tiny makeshift rafts out of sticks and leaves, and race them down a creek (or the gutter of the street if there’s enough rain!). Bring out the magazines, glue, scissors, and construction paper – and get to collaging. Make some fall favorites like turkeys, pumpkins, cornucopias and more! Cook some corn on the cob and a few hotdogs and burgers with kids! Get outdoors to enjoy the changing seasons, and chow down on some great fall foods! Read some fall-themed books with your children. Favorites include The Little Yellow Leaf, It’s Fall, and Too Many Pumpkins. Although things cool off rather late here in Florida, you can start enjoying warm delicous drinks as soon as you’d like! Make hot cocoa, hot cider, or tea. Speaking of, you can host a tea party while you’re at it!